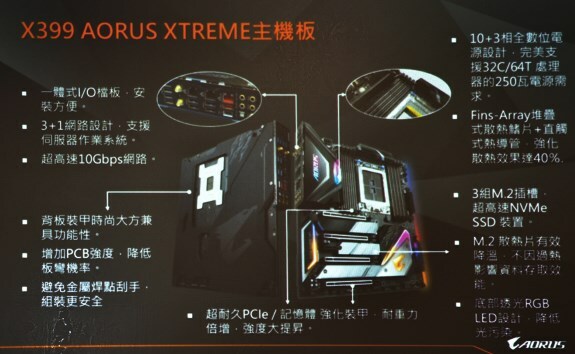 Gigabyte X399 Aorus Extreme to be first to support 32-core Threadripper? Gigabyte’s X399 Aorus Extreme is the first motherboard to support AMD's upcoming 32-core Ryzen Threadripper processors. As VideoCardz points out, this may indicate Gigabyte isn't planning a X499 lineup in the near future. The launch of the second-gen Threadripper CPUs is expected in a couple of weeks, perhaps at the end of this month. Word on the street is that AMD is planning a Ferrari-themed event to launch its new HEDT beast. The X399 Aorus Extreme is the highest-end motherboard for AMD Ryzen family, featuring four reinforced PCIe, eight reinforced memory slots, a full backplate, 10+3 VRM power design, three M.2 slots and of course WiFi accompanied by triple Ethernet, including 10 Gbps connection (because why not). That said, this motherboard has everything, except a low price tag.